Die Fledermaus #259Z is a post on the operetta Die Fledermaus (the bat) is written by artist Stephen F. Condren, BFA-SAIC. Sunday afternoon, January 27, 2019 I had the pleasure to hear a wonderful performance of Die Fledermaus. The operetta was under the masterful baton of maestro Kirk Muspratt. The New Philharmonic Symphony Orchestra was outstanding. The audience was filled with people that know and love opera. The MAC gives us this performance that is filled with arias and love songs ~ this is a winner! 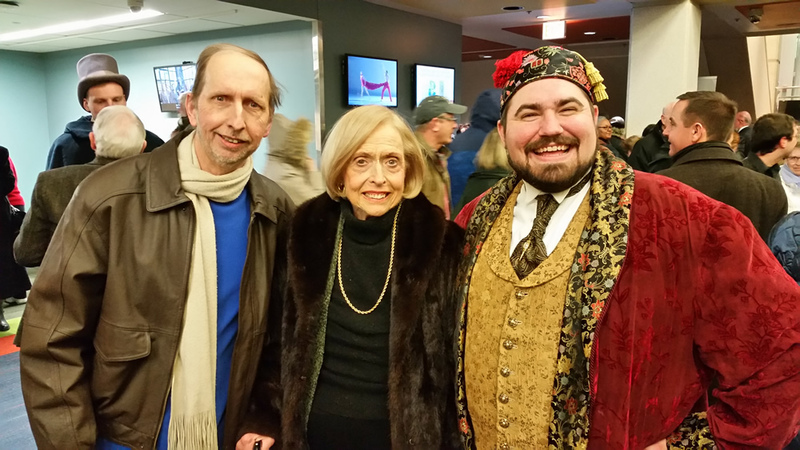 This lively and light hearted comic operetta, Die Fledermaus, “The Bat”, by Johann Strauss was admirably performed at the MAC at the College of DuPage. Most importantly, the music that Kirk Muspratt conducted with the New Philharmonic Orchestra was outstanding. Lead opera singers in this outstanding performance were as follows. Katherine Weber, Mikaela Schneider, Jesse Donner, Matthew Greenblatt, Sam Handley, Brittany Hebel, James Judd, Ashley Sipka, and Aaron Wardell. The lovely songs that they delivered will be remembered for a long time. Because this music is so familiar to opera goers the world over it gives us joy to hear it live on the stage. For me the waltz is the most delightful orchestral piece in the operetta. Therefore, that does not mean that there as no other good music, for sure, the voices of these stars just carried us all away. I was very pleased with the spontaneity of the musicians to all the lines. There is no prompter on this stage so all the details have to be worked out well ahead of the performance. The arias delivered to us by the vocalists were songs to the delight of everyone. Because the voices were complimented by the excellent props and lighting of the MAC, the performance went smoothly. It is amazing how well the voices of the soloists come to life when they are complimented with quality stage sets and lighting. The beautiful tones of all the artist resonated within me, I only wish that the opera was longer. The arias just followed one after the other and in good form. Each of the soloists accurately follow the notes of the music with tempi of the maestro. Because we had good seats I could see and hear everything. The theater is a nice size so that no matter where you sit you have a good view. I was seated on the center aisle to the left center of the stage. Because the audience was filled with people that know and understand opera, they were delight to be presented such a fine performance. 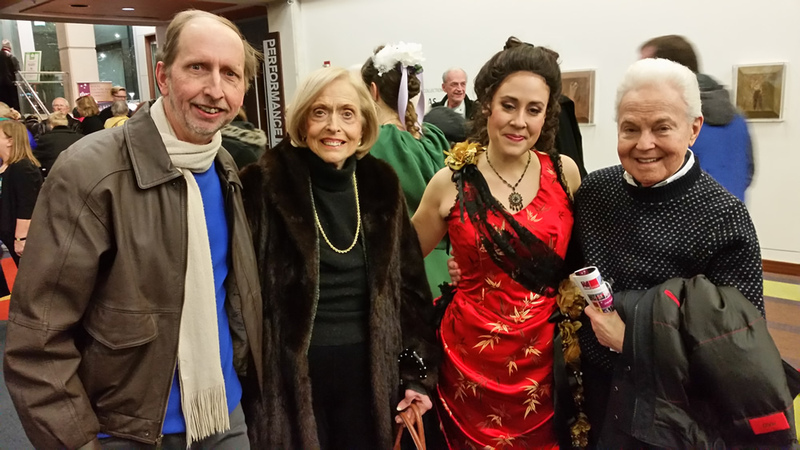 I attended this performance with my dear friends Sandra Ganakos and Robert C. Marks. Because Mr. Marks is an ardent supporter of opera and a major donor to Lyric Opera of Chicago he was pleased to appear in support the cast. Mr. Marks sits on the Ryan Opera Center Board and is a sponsor of Jesse Donner (Eisenstein). Most importantly, The College of DuPage, is making possible a venue for local residence to participate is great opera. Therefore, the more exposure to high quality opera leads to high quality living. I am honored to have done my undergraduate studies here at the College of DuPage. Die Fledermaus, Symphony Orchestra, aria, songs, audience, people.